Henkel presented its new strategic priorities and financial ambition, which will shape Henkel until 2020 and beyond – summarized as ‘Henkel 2020+’. Based on its strong foundation, Henkel aims to generate continued profitable growth by focusing on four strategic priorities: Driving growth, accelerating digitalization, increasing agility and funding growth. “We will build our future on a strong foundation, which will enable us to generate sustainable profitable growth in the coming years. 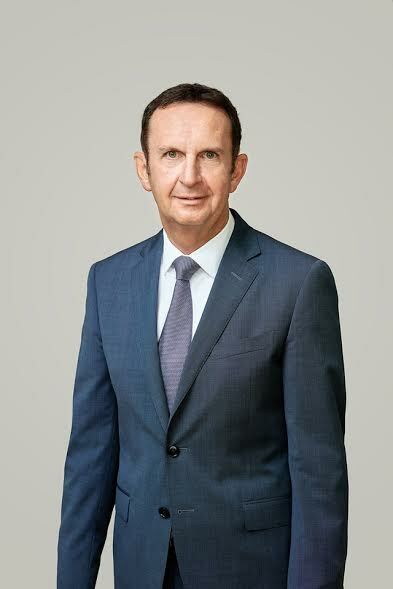 We have an excellent track record of outperforming our markets, a balanced and well-diversified business portfolio with exciting brands, innovative technologies and leading positions in highly attractive markets and categories – and a passionate global team with a strong culture, common purpose and shared values,” said Hans Van Bylen, Chief Executive Officer of Henkel. “At Henkel, we share the common purpose to create sustainable value – for our customers and consumers, our employees, our shareholders, as well as for our stakeholders and the communities in which we operate. In addition, our values guide all our actions, decisions and behavior,” said Hans Van Bylen. “We want to continue Henkel’s successful development in a highly volatile business environment, characterized by globalization, accelerating digitalization, rapidly changing markets, and an increasing relevance of resource scarcity and social responsibility. By 2020 and beyond, our ambition for Henkel is to generate more profitable growth and to become more customer-focused, more innovative, more agile, and fully digitized in our internal processes and customer-facing activities. In addition, we aim to promote sustainability in all our business activities, reinforcing our leading position,” Hans Van Bylen explained. “In order to achieve this ambition, we will focus on driving growth, accelerating digitalization across all our businesses and functions, increasing agility in our organization and teams, and funding our growth through targeted initiatives. In addition to organic growth, acquisitions will continue to be an integral part of our strategy in order to further strengthen our portfolio. We will begin to implement our strategic priorities in a highly energized way from day one, to continue our successful development and create sustainable value,” said Hans Van Bylen, summarizing Henkel’s future strategic direction. In a highly volatile and uncertain market environment, Henkel has defined a concrete financial ambition for the period until 2020: Over the next four years, Henkel aims to achieve an average organic sales growth between 2% and 4% with an over-proportionate contribution from emerging markets. For adjusted earnings per preferred share, Henkel targets a compound annual growth rate (CAGR) of 7 to 9%. This ambition for EPS growth includes the impact of currency developments and excludes major acquisitions as well as share buy-back. In addition, Henkel aims for continued improvements of its adjusted EBIT margin and free cash flow expansion. Driving growth in mature and emerging markets will be a key strategic priority for Henkel. The company will launch a range of targeted initiatives to create superior customer and consumer engagement, further strengthen its leading brands and technologies, develop exciting innovations and services, and capture new sources of growth. Accelerating digitalization will help Henkel to successfully grow its business, strengthen the relationships with its customers and consumers, optimize its processes and transform the entire company. By 2020, Henkel will implement a range of initiatives to drive its digital business, leverage industry 4.0 projects, and transform the organization. In a highly volatile and dynamic business environment, increasing agility of the organization will be a critical success factor for Henkel in the future. This will include energized and empowered teams, fastest time-to-market as well as smart and simplified processes. In order to fund growth, Henkel will implement new approaches to optimize resource allocation, focus on net revenue management, further increase efficiency in its structures, and continue to expand its Global Supply Chain organization. Together, these initiatives will contribute to further improve profitability and enable Henkel to fund its growth ambitions for 2020 and beyond. To reinforce its commitment to sustainability, Henkel has defined clear targets to improve its resource efficiency, for example by creating more value with less resources. Henkel has defined ambitious sustainability milestones which would result in an overall efficiency improvement of 75 percent by 2020 compared to 2010. Engaging all Henkel employees globally to act as sustainability ambassadors toward customers and consumers, business partners and society will be a driver of Henkel’s sustainability leadership. Henkel operates globally with a well-balanced and diversified portfolio. The company holds leading positions with its three business units in both industrial and consumer businesses thanks to strong brands, innovations and technologies. Henkel Adhesive Technologies is the global leader in the adhesives market – across all industry segments worldwide. In its Laundry & Home Care and Beauty Care businesses, Henkel holds leading positions in many markets and categories around the world. Founded in 1876, Henkel looks back on more than 140 years of success. In 2015, Henkel reported sales of 18.1 billion euros (20.1 billion US dollars), adjusted operating profit of 2.9 billion euros (3.2 billion US dollars). Its three top brands, Persil (detergent), Schwarzkopf (hair care) and Loctite (adhesive) generated more than 6 billion euros (around 6.6 billion US dollars) in combined sales. Henkel employs around 50,000 people globally – a passionate and highly diverse team, united by a strong company culture, a common purpose to create sustainable value, and shared values. As a recognized leader in sustainability, Henkel holds top positions in many international indices and rankings. Henkel’s preferred shares are listed in the German stock index DAX.